This new CBS comedy explores what can happen when Midwest meets West Coast. Moving your family to a new city isn't easy. 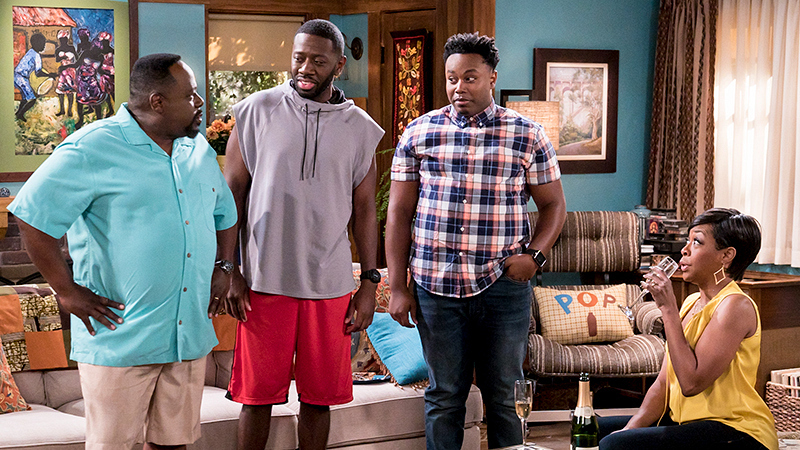 But it's especially challenging for the Johnsons when they uproot their life in the Midwestern suburbs in exchange for an address in Los Angeles, as we see on The Neighborhood, which will air Mondays this Fall at 8/7c on CBS and CBS All Access. Dave Johnson can't help but be a super-friendly guy who wants nothing more than to be pals with his new next-door neighbor Calvin Butler, played by Cedric the Entertainer (The Soul Man, Barbershop). Unfortunately, Calvin is pretty opinionated and less-than-enthused about the living situation. Not only does he think the Johnsons may usher in a new era of gentrification, but he can't help but cringe whenever Dave tries—and, inevitably, fails—to find common ground. It's easy to see why the Johnsons clash with the Butlers, but if each family agrees to let down some fences, they might have more in common than meets the eye. The Neighborhood also stars Max Greenfield (New Girl), Sheaun McKinney (Vice Principals), Tichina Arnold (Survivor's Remorse, Everybody Hates Chris), Marcel Spears (The Mayor), Beth Behrs (2 Broke Girls), and newcomer Hank Greenspan. Plus, not only does Cedric the Entertainer star in The Neighborhood, but he also serves as Executive Producer alongside Jim Reynolds (9JKL, The Big Bang Theory), Aaron Kaplan (9JKL, Life In Pieces), Dana Honor (9JKL), Wendi Trilling (9JKL) and Eric Rhone (The Soul Man). The pilot is directed by James Burrows (The Big Bang Theory, Two And A Half Men). The series is produced by CBS Television Studios. Watch The Neighborhood this Fall on Mondays at 8/7c on CBS and CBS All Access.